A fantastic new casual design and color combination paired with a modern skinny cut! 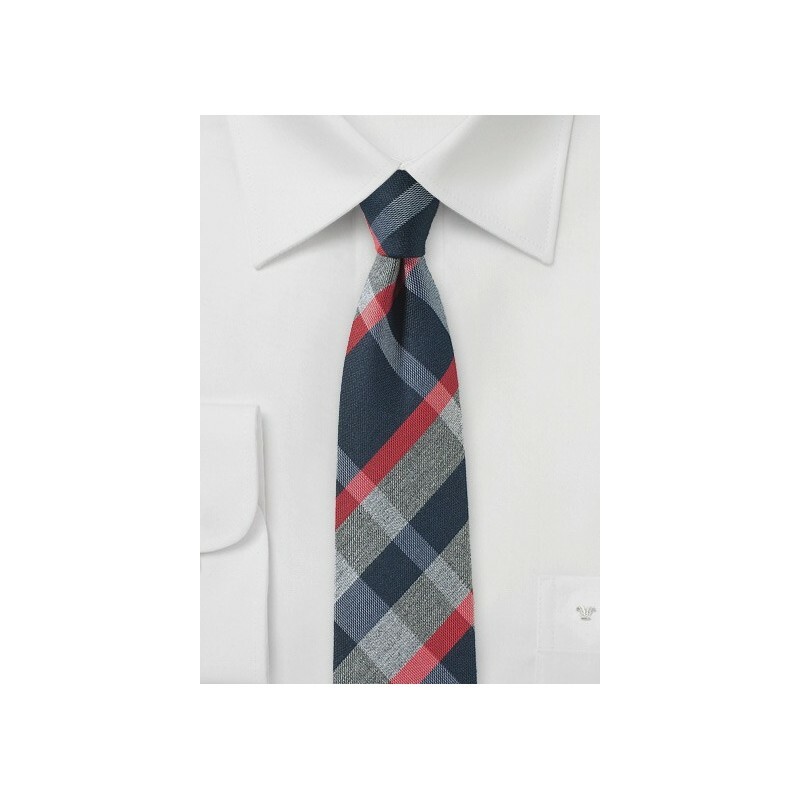 While a nice pick for suits in gray and navy, we actually liked this tie even more when worn with a casual button up and a cashmere V-neck sweater. 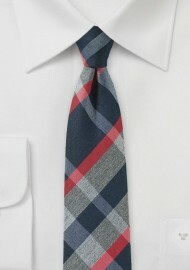 Made from woven silk fabric by BlackBird designer neckwear. 100% Woven Silk | Length: 58", Narrow Width: 2.75"